Insplorion recently participated in a delegate trip to Santiago, Chile, together with participants of the LoV-IoT (Air and Water – Internet of Things) project. The purpose was to further share experiences regarding Smart Cities and how IoT can help the growing demands in cities. 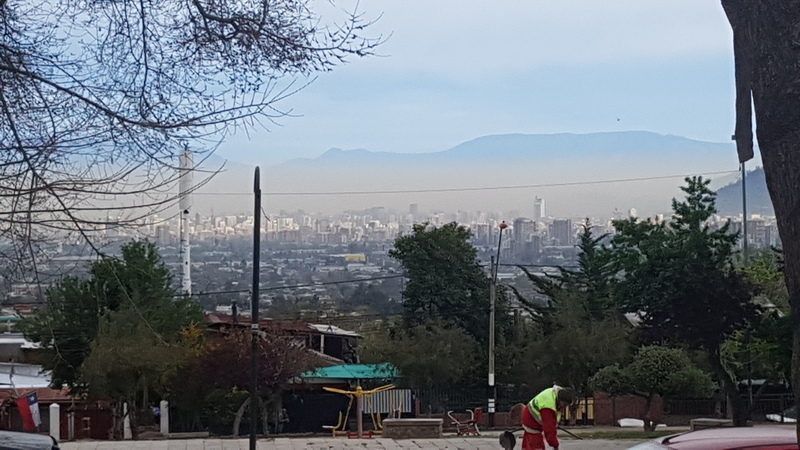 Santiago with its population of over 7 million citizens have suffered the consequences of the fossil fuel transport systems. We were told during our visit that they have even higher pollution levels than Beijing. The city is preparing to transform their commute system to electric, and wants to know on a more local level how the change is affecting the quality of the air. The demonstration platform we develop in the LoV-IoT project might help the city become smarter. The intensive four-day visit contained a lot of meetings and presentations from all of us delegates, as well as local authorities, companies, and researchers. The 1995’s Nobel Prize winner in chemistry, Professor Mario Molina, also participated along with our delegation each day. Molina was rewarded back then for his research about the depletion of the ozone layer and how it connects to the emission of chlorofluorocarbons. Ever since, he has continued to fight for global sustainable development. I, personally, really enjoyed spending time with Professor Molina who possesses great experiences and ideas, which he happily shared with us in the delegation. One of the most important notes he made regarding Smart Cities was the importance of knowledge among the citizens of pollution levels and the link between behaviour and environmental impact. An open data based connected smart city will not only provide information to the government, but also show the citizens the effect of reducing the use of fossil-based energy sources.